Clutch female stingray leather, on magnetic button closure and zipper. Inside the fabric. 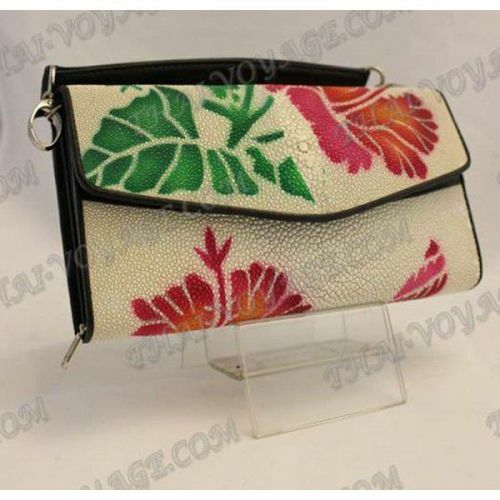 Dimensions: width - 21, thickness - 4 cm, height - 12 cm, height with handle - 17 cm. Shoulder strap is included.